Let’s face it, having a Dumpster Rental can come in handy for all types of situations! We offer Waste Bin Rental for large Construction & Industrial Projects, all the way down to Home Renovation projects. Cleaning out your basement, renovating your kitchen, or looking for waste management for a large work site – we have the options for you! Regardless of the size or duration of your project, we will work with you to structure a plan that meets your needs. At Go Services Inc. we pride ourselves on our ability to provide quality recommendations and industry competitive pricing for any project, large or small. Looking for more than a Dumpster? 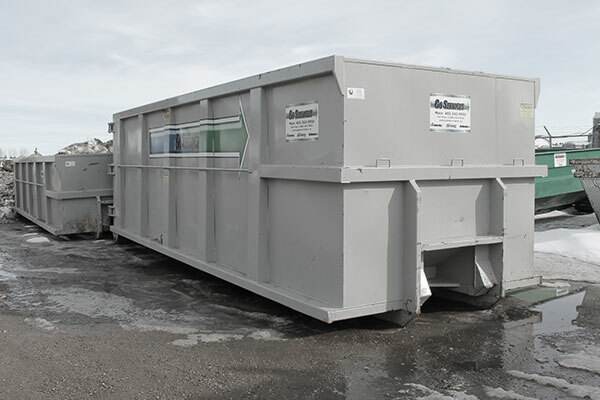 Aside from our Dumpster Rental and Waste Bin Rental options, we have other options available to suit your site needs. Regardless if you’re an individual or a company, we can find a solution that works for you. Think of us as your all-in-one Rental and Site Services option. If you have a mobile work site, then you’ll love our Combo Unit Rentals. Outfitted to suit your needs, and always serviced with a smile. Looking for something bigger? We have a variety of Waste Bin Sizes that we can deliver and service. Running a full job site? We are the trade leaders in Porta-Potty Rentals. Don’t know what size you need? No problem! Give us a call at our Toll-Free Number any day, and at any time. Alternatively, you can send us a Quote Request on our Contact Us page and we can help you out. At Go Services Inc. we want to be your All-in-one Option for all your Equipment Rental & Servicing needs – everything from Portable Toilet Rentals, Septic Service, Temporary Fence, and more!